Many brides want to achieve a retro look and feel for their own wedding. Whether she decides to go retro or truly antique, there are a lot of different eras for her to choose from. 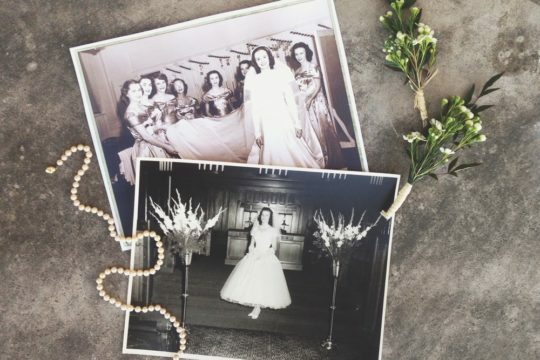 From the look of the Edwardian era at the turn of the last Century to the 1920’s flapper styles made famous by Downton Abbey, to the svelte and sophisticated styles of the 1940’s and 50’s, brides have found inspiration in the looks of the past. It’s that kind of sophisticated allure that has found its way back down the aisle for the weddings of today. This is also a reason why so many brides nowadays choose companies that do wedding dress or gown preservation. They want their children and grandchildren to get that choice! Think about it! 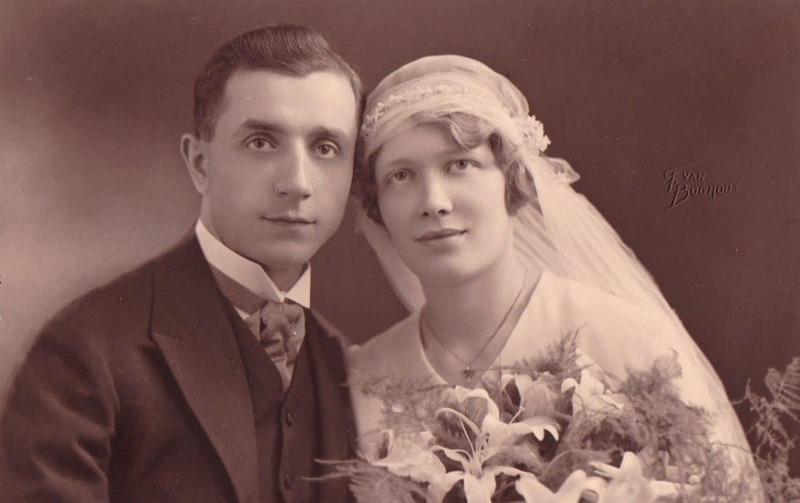 How cool would it be if you grandma told you that she still has her wedding dress is a pristine condition! Everything from the décor to the dress can have a nostalgic feel to the atmosphere and it can connect the happy couple not only with each other, but also to the generations of family members. Memories from the past are brought forward and new ones are forged on such a special occasion. It’s all about the details. Having an exquisite three-tiered wedding cake served to guests on your grandmother’s Limoges vintage china, or donning your great grandmother’s bejeweled headband from the 1920’s can be both classic and elegant. The Décor – Creative fabric draping, lighting and florals can create a vintage atmosphere for your wedding reception. Imagine a tented environment lit by lanterns festooned in florals while the tables sparkle and shimmer with antique candelabras that stand over antique china and crystal and accentuated by vintage-looking floral arrangements. Wedding guests can sign in by typing their names and well wishes on an old Remington typewriter or writing them on postcards that are placed in a period piece of luggage. 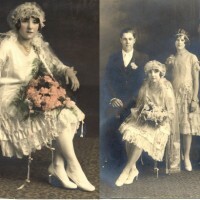 The Dress – Dress styles from the Edwardian era of the early 1900’s and the Jazz Age of the 1920’s never seem to go out of style. The magic of the past lives on in gowns featuring sheer fabrics and exquisite beading. Combined with elaborate pieces of jewelry worn in the hair or incorporated in creative ways creates a look of timeless beauty. A bride can spend as much or as little as she likes on creating a vintage wedding. Designers have created vintage looks for brides, grooms and wedding parties, but it’s also possible to find gorgeous attire in a consignment or vintage clothing shop. One of the dresses featured in Downton Abbey came from the early 1920’s was found in such a shop in pristine condition and it perfectly fit the actress who was to wear it! Other brides have found that perfect dress at a fraction of the cost of a new dress that was absolutely perfect for their big day. Vintage Wedding Rings –Many couples who appreciate the past love the look of vintage wedding bands from the Victorian and Edwardian era. Historically, these were made of either gold or silver, some with diamonds, pearls, or other jewels intricately woven within the ring itself. Today’s jewelers have a variety of styles that harken back to a bygone era. Arrivals and Departures – There’s something truly spectacular about seeing a bride arrive at her wedding in a horse drawn carriage or a vintage car. It’s a way for her to make her grand entrance even before going down the aisle. It’s also a time-honored and classic wedding tradition to see the happy couple off in a vintage getaway vehicle complete with flowers, streamers and a sign inscribed with the words “Just Married” on the back. There are many limousine and wedding rental companies that offer one or the other or both types of options from many eras to choose from. The happy couple can be whisked away in a horse-drawn carriage or in a chauffeured car. Or they may choose to drive away in a 1950’s or 60’s classic car that will take them to the destinations in their new life together. Too many coltpimenms too little space, thanks!